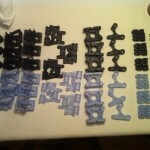 MidsouthMakers has always been largely interested in 3D printers. Sonny jumped right into the world of 3D printing. 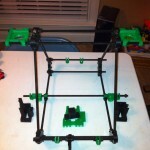 He used his Makerbot printer to begin building his first RepRap Prusa. 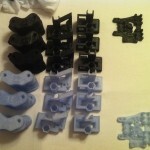 He led the charge and helped other members such as Dan, Ben, and Claudio jump into 3D printing with their own printers. 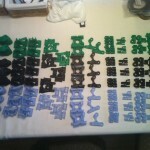 We’ve always gained a lot of interest as a hackerspace from our wealth of 3D printing knowledge. Sonny came up with an idea for an event that we would spend a weekend doing a boot camp type 3D printing event. The idea was that we knew people were interested in 3D printing, and the common roadblock was that they just didn’t have the know how to get up and going. 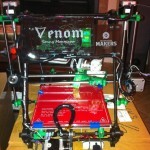 So from this MidsouthMakers presents it’s RepRap Buildoff Event. The RepRap build off is a 2 day event in which we show up with everything you need to build your Prusa 3D printer and we spend a day building it with you, hands on. 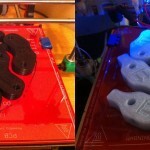 The next day we teach you how to use it to start printing your own objects. 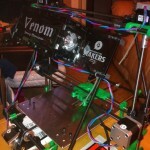 We’ll help you get up and running and you’ll be able to benefit from our own experiences in building our own printers. We’ll show you the tricks we’ve picked up so you won’t make the same mistakes we did. How to participate: Each person will show up Saturday morning with a few basic tools. 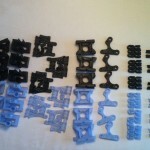 All of the required prusa parts will be purchased and organized in advance. 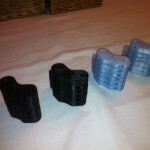 We’ll spend Saturday and Sunday morning assembling the printers and Sunday afternoon will be spent tuning and printing. You will walk away with a completely functional printer and enough knowledge to start using it. Warranty: You will have the same sort of warranty as if you sourced the parts yourself. The MidsouthMakers group and build leaders will try to help with any issues, but provide no expressed warranty. Early Purchase: Because we are trying to accomplish quite a bit in one weekend we attempt to keep a strict uniform list of parts. We do bulk ordering in advance of the event in order to secure the best pricing for the event so we require advance payment. You will not be able to bring parts ordered in advance to use in the build. A deposit will be required to secure your spot in the next build off. Space is limited, there will not be refunds on deposits however you may transfer your spot to another party as long as our build team is given notice.